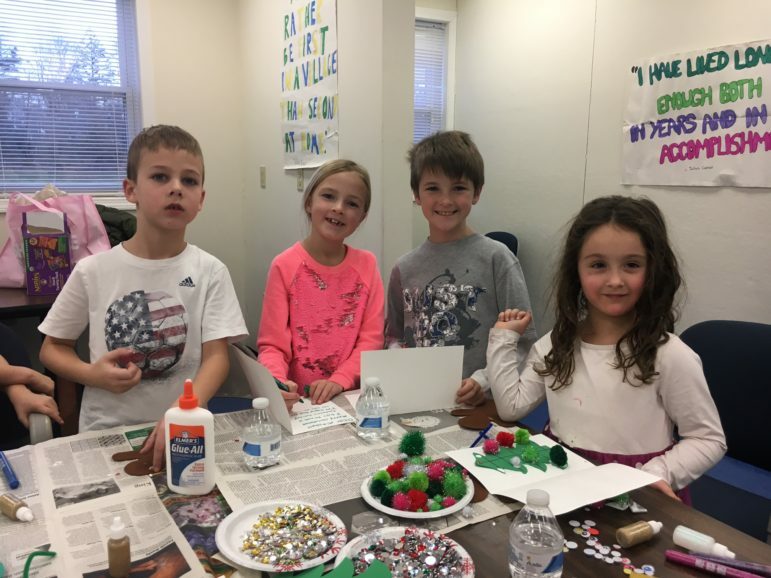 Students at the Kids Care Clubs at Royle and Holmes elementary schools participated in activities to help others in the area. Molly Cronin and Hadley Caras are pictured with their gifts for the Inspirica residents. 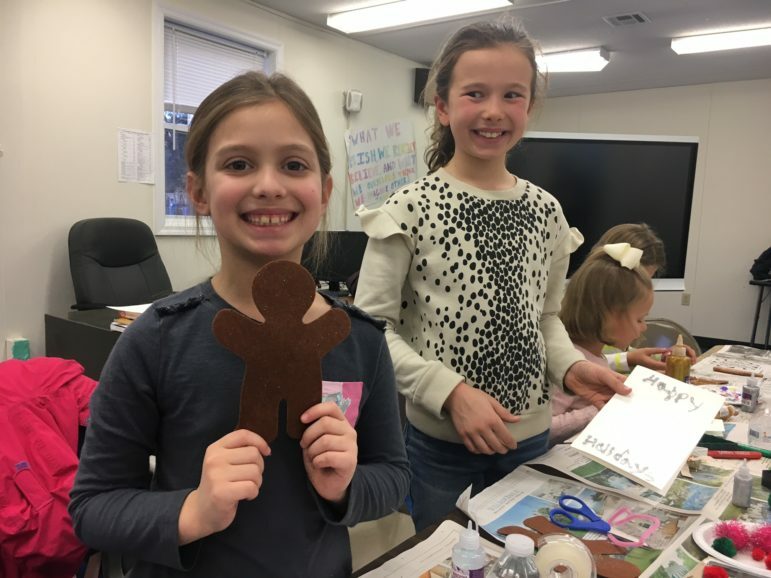 — This article combines announcements from Holmes School Kids Care Club and At Home In Darien. 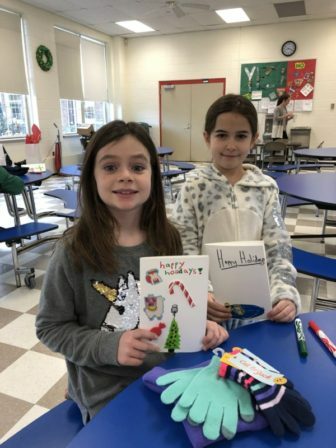 The Holmes School Kids Care Club continued its tradition of giving this month with a hat and mitten Drive for Inspirica, a homeless shelter in Stamford. Students brought new hats and mittens to give to Inspirica residents and then decorated cards and gift bags for them. 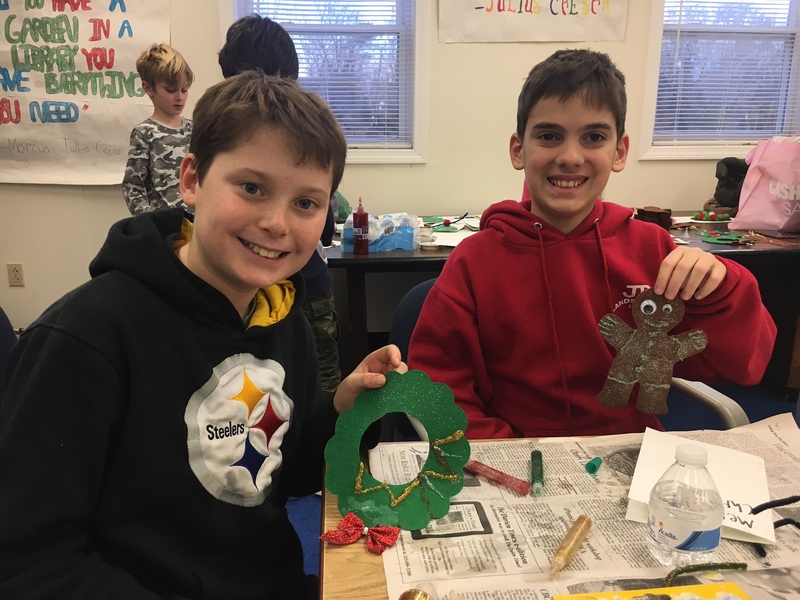 The Royle School Kids Care Club met on Dec. 12 to complete a service project. 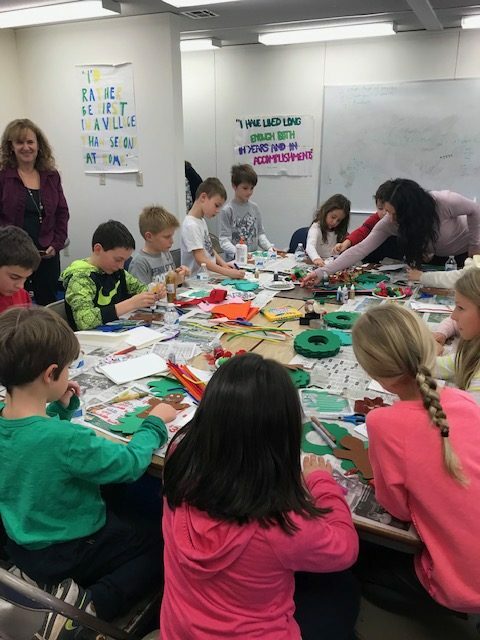 Gina Blum, executive director of At Home In Darien, a nonprofit organization dedicated to helping seniors stay connected to the community, spoke to 17 children in kindergarten through fifth grade. 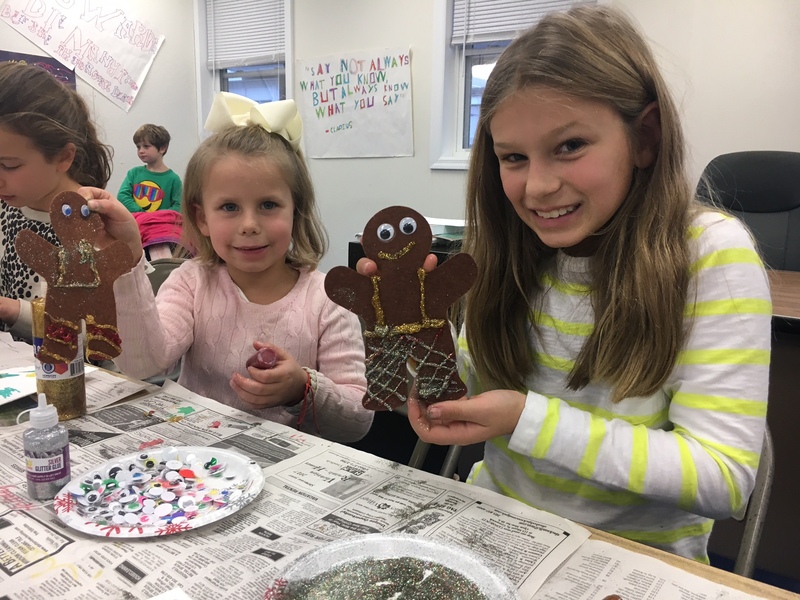 The children then decorated and assembled a holiday craft and made personal greeting cards to give to seniors. At Home In Darien coordinated distribution of the Care Bags to seniors to help brighten their day. At Home In Darien greatly appreciates the support of the Royle School Kids Care Club and the members who shared their friendship to senior citizens in the community. This year's new programs were described during At Home In Darien's annual meeting, including a Half-Price Taxi Program for seniors, and the 70 attendees heard a talk on aging and aging programs. — an announcement from At Home In Darien Gina Blum, executive director, spoke to the crowd at the Dec. 6 meeting in Darien Library about the organization’s recent accomplishments.